Which car has the best fuel economy? We looked at combined estimated city and highway fuel economy as reported on the EPA's fueleconomy.gov website and found some surprising results. All cars, unless otherwise noted, have automatic transmissions. Your battery may need a little recharging. You need to bone-up on some things about fuel efficiency in modern vehicles. Leasing an electric car isn't just a pricey option for the rich. In fact, there are some very reasonably priced options out there. These small cars still pack a lot of room for luggage. 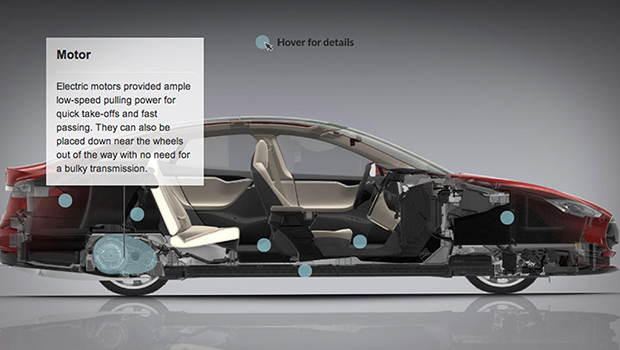 With the Model S, Tesla took full advantage of electric power to create a different kind of car.